How is resource training beneficent for the organization? You have hired an employee whether they are experienced or but they need the training to understand your business priorities as well as the environment of the working place, this initial training would be your investment as well as the development of your employee. Resource training is in the favor of both the employer or the employee because this training will make the employee more productive or more effective for the organization. Resource training is an efficient way of enhancing the skills, knowledge, and capabilities of the resources. How is resource training beneficient for the organization? Resource training is an important factor in the career development and increased the productivity of the resources. If a resource is well trained they will definitely show the good performance and will better understand the business goals. A resource might have some weakness that could create a problem in their adjustment in the office environment. During the training, such points could be explored or removed by the trainer. Resource training is allowing the resources to work in a reliable and comfortable environment without any further discrimination of lacking the knowledge. Different resources are eligible to work on the same task because they are trained at the same level and the need to rely on one employee is reduced or almost vanished. If an organization has trained well the resources that mean they are more updated regarding the procedures and the business structure. Training has boosted their confidence level and they are aware of their responsibilities. This awareness is going to help them to complete their tasks more efficiently than the others. After the completion of the training, the performance of an employee will automatically improve due to their improved knowledge. A resource is trained well, now they are confident that they are able to perform their tasks with a better approach and could equally contribute to organization’s objective. Along with the contribution, they will also understand their career growth in the organization. All these things are actually the source of satisfaction for the resource that they are contributing to the achievement of organization’s objective as well as stepping forward to the achievement of their own career goals. The resources are able to understand the complete procedure and standards of their tasks. They are more productive, focused and confident than earlier and this thing will be beneficient for the clients too. They are going to gain more satisfaction as an organization is improving the quality of their product and services. In an organization improvement in employee’s productivity really matters to meet the competition in the market. 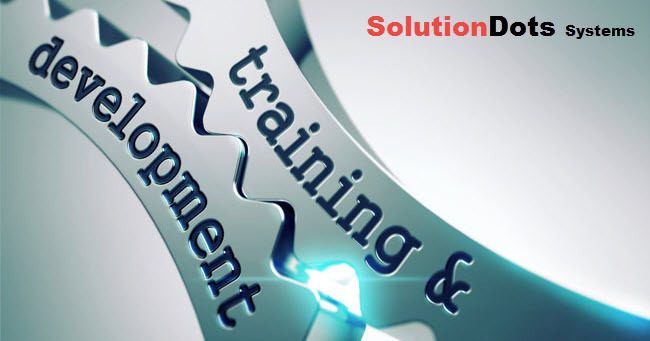 Effective resource training is an important thing that helps in increasing the productivity of the resources with the improvement in the skills of the resources. Resource Traning is important for the growth & development of the organization as well as employees. The organization should take positive steps for the training of their resources because you will be able to plan and control the resources in an efficient way.